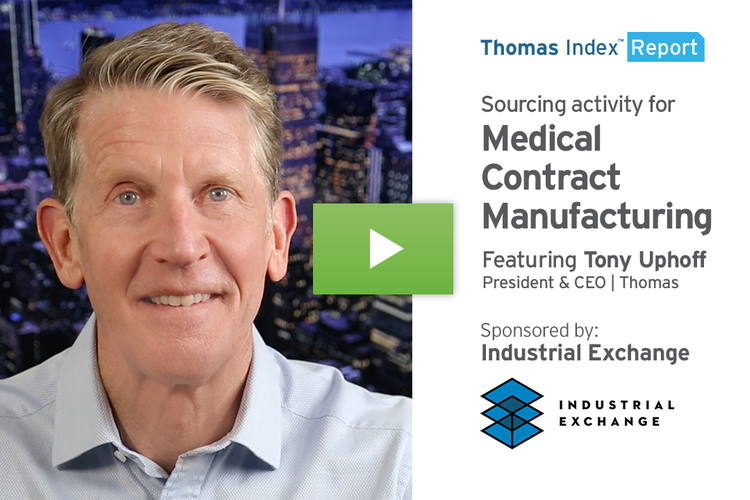 This Thomas Index Report is sponsored by Mouser Electronics - a worldwide authorized distributor of semiconductors and electronic components for over 750 industry leading manufacturers. Well, 2018 is in the books, and in this Thomas Index Report year-end recap, we’re going to take a look at the product and service categories buyers were sourcing the most on Thomasnet.com this year. I’m going to cover a few top five lists in regard to that sourcing activity – for expanded lists, download our free 2018 Sourcing Activity eBook. So here we go. 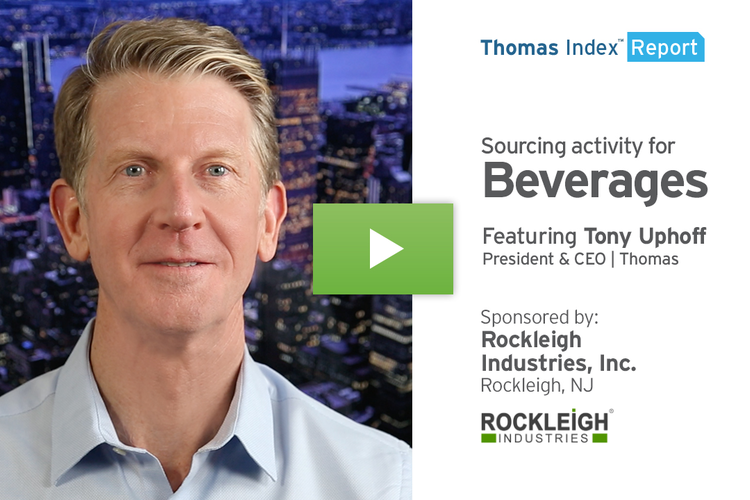 The top five products by sourcing activity volume in 2018 were Steel, Printed Circuit Boards, Corrugated Boxes, Plastic Bottles, and Food Products. The top five services sourced by volume on our platform were CNC Machining, Plastic Injection Molding, Metal Fabrication, Metal Stamping, and Tube Fabrication & Bending Services. No big surprises here, as these are core services required across the full spectrum of manufacturing and industry. 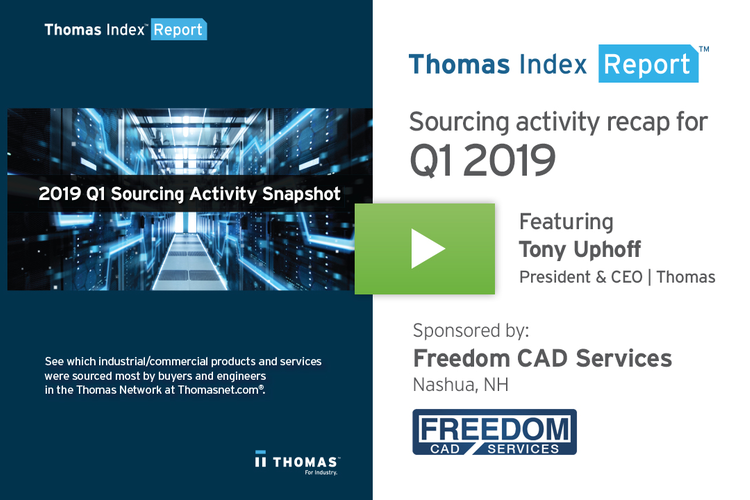 The categories that saw the biggest increase in sourcing activity in 2018 over 2017 were CNC Milling, Private Label Foods, Rubber Extrusions, Drinking Straws, and Stampings. We’ve covered most of the categories on these lists in past Thomas Index Reports. You can check them out in the Thomas Insights section of Thomasnet.com. Looking forward to 2019, one market to keep an eye on is the automotive industry. As part of the trade war cease-fire agreed to at November’s G20 summit, China has reduced its 40% tariff on U.S. cars and trucks to 15%. US automakers sold over 280,000 vehicles in China in 2017, so it’s a huge market. Should this truce hold up, we expect to see sourcing activity increase anywhere from 5-10% throughout the automotive supply chain, for everything from metal stamping and castings, to fasteners and parts finishing services, as U.S. auto manufacturers ramp up production for the Chinese market. 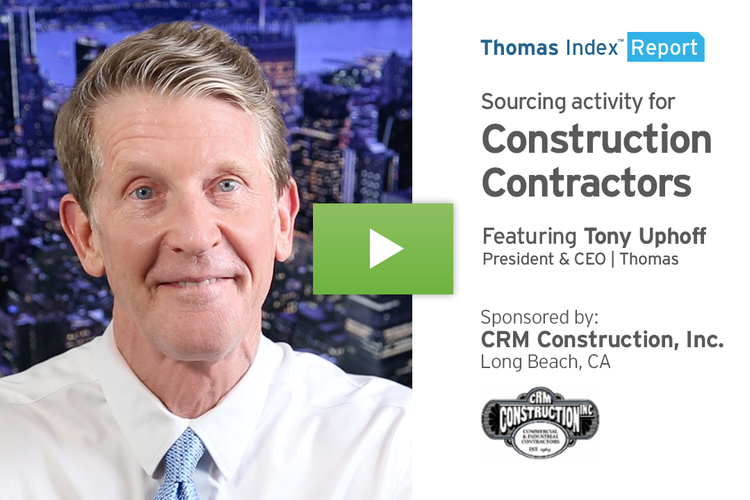 Three other categories to keep an eye on are Plastic Recycling Services, Third Party Logistics Services, and Sensors, all of which we covered in recent Thomas Index Reports. Plastic recycling services will be hot because China has basically stopped importing our recyclable plastic waste, and it’s literally piling up at facilities across the US. 3PL services will be in strong demand due in part to the continued growth of eCommerce, and the increase in companies needing to streamline their transportation, distribution, and fulfillment services. 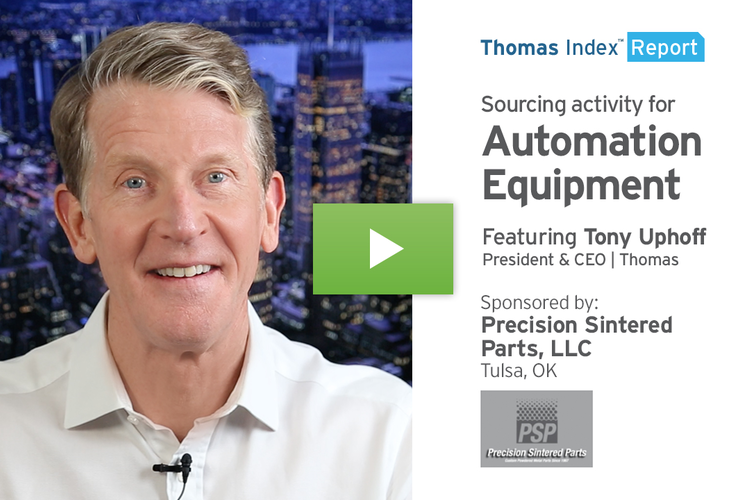 Sourcing for sensors will continue to grow, as they’re a critical component throughout the high-tech automated factory floors of Industry 4.0. Well, that’s our look ahead to 2019, as well as what our data showed for 2018. 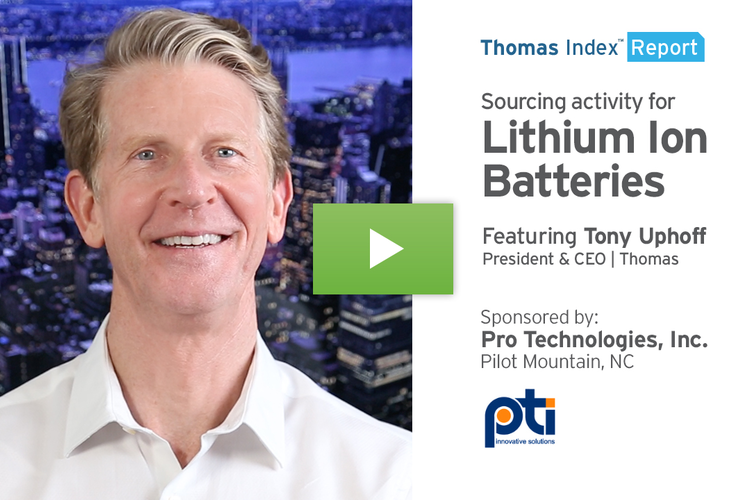 To see the full top 20 categories on the lists I covered earlier, please download our free 2018 Sourcing Activity ebook.